This old building is typical of homes in the Maple Leaf neighborhood. While most remain homes, this one has changed many times through the years from one type of restaurant or business to another. Most recently it has been a friendly neighborhood bar – The Maple Bar (ha-ha). 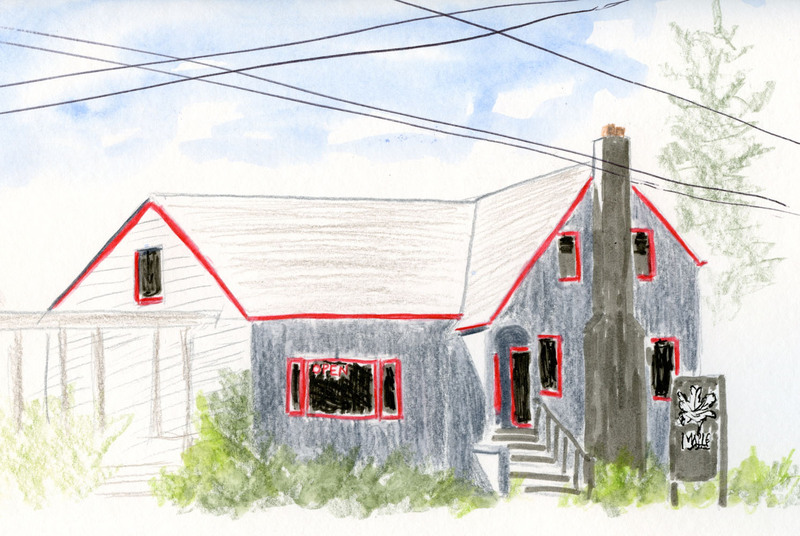 A couple of days ago it was finally warm enough to take a stroll through the ‘hood and sketch from the sidewalk – what a treat to be outdoors! I chose the bar to sketch because I was there to see a show of watercolor paintings by urban sketcher Eleanor Doughty. She moved to Seattle only last fall but has already made a wonderful collection of paintings of her new city.